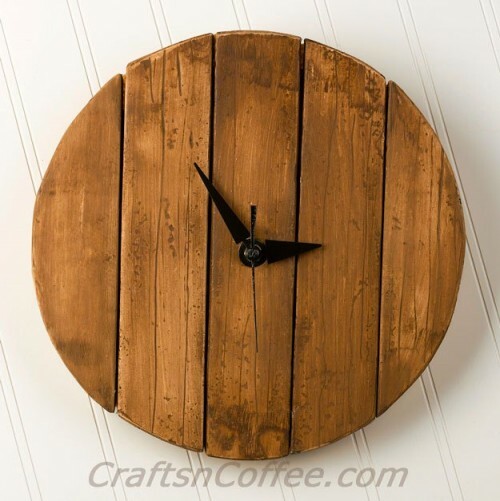 Rustic and industrial decor are super popular now, and this clock combines both style at once. To make it you’ll need STYROFOAM 12” x 12” x 1” sheet, a bowl with 10” diameter, a spackling compound, a wood dowel, 36” x ¼”, acrylic craft paint in burnt umber, a clock movement with hands and ¾” shaft, a metal washer in black, ¾”, felt in tan, 1/3 yd., thick, white craft glue and a low-temp glue gun. Center your plate, bowl or other 10” round item on the sheet of STYROFOAM Brand Foam and trace around the outside edge, scoring the foam. Wax your serrated knife with an old candle or bar of soap and cut out the foam circle. 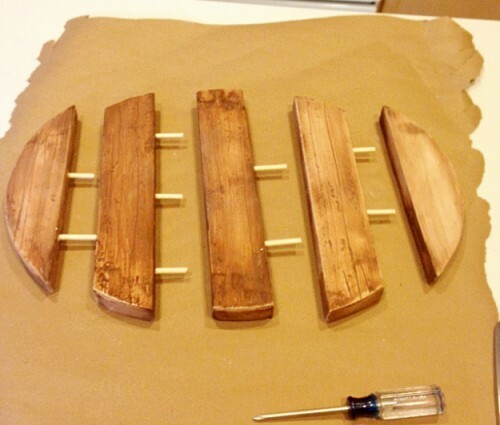 Lightly sand and smooth the edges with a scrap piece of foam. Keep reading the tutorial at craftsncoffee.com.